I am purchasing my second copy. I read the book in two hours, and immediately passed it on to my Grandfather. 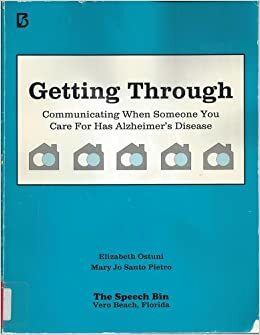 The author does a wonderful job explaining the stages of Alzheimers and offers effective suggestions on how to communicate with a family member or friend, - especially when they are struggling to communicate with you and others/medical professionals. Each section of the book helped me and my Grandfather accept the progression of Alzheimers and adjust our interactions and expectations accordingly. Great book - read it and pass it along to someone who you love. I reccomend this book for all Alzheimer's caregivers.